Nashville, TN -The Nashville Honky Tonks wrapped up the 2018 Battle for the Boot series with a 5-2 defeat Sunday night at the hands of the Round Rock Dance Halls. Round Rock’s Drew Robinson picked up right where he left off from Saturday’s game. Robinson slugged a game-tying two-out home run Saturday night and then crushed an 0-2 pitch beyond The Band Box to lead off Sunday’s ballgame. The Honky Tonks responded in the home half of the frame. 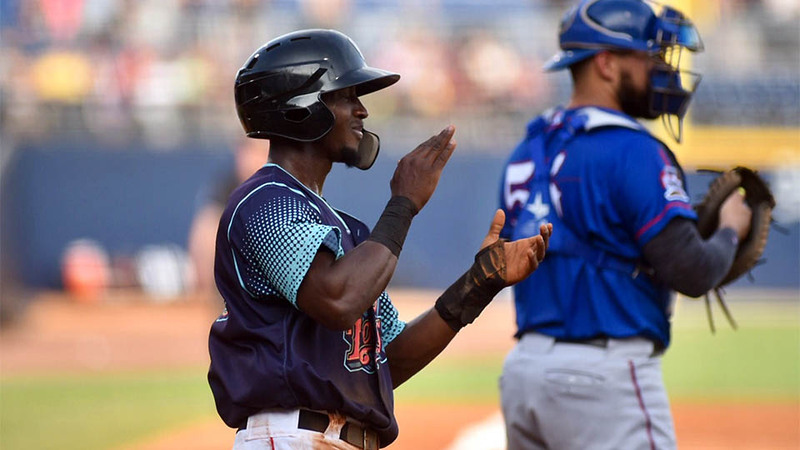 Jorge Mateo singled and swiped second base. Four batters later he came around to score on a play that saw two errors committed by Round Rock shortstop Cliff Pennington. 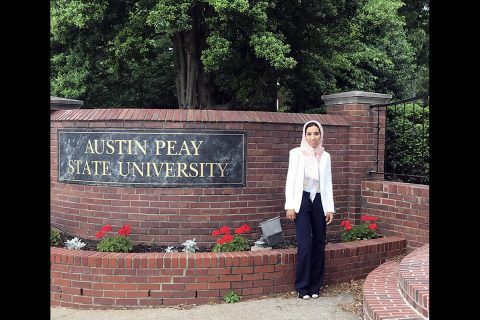 Clarksville, TN – Hanan Alghamdi’s face brightened with a smile when she learned she was Austin Peay State University’s first-ever master’s degree recipient from Saudi Arabia. 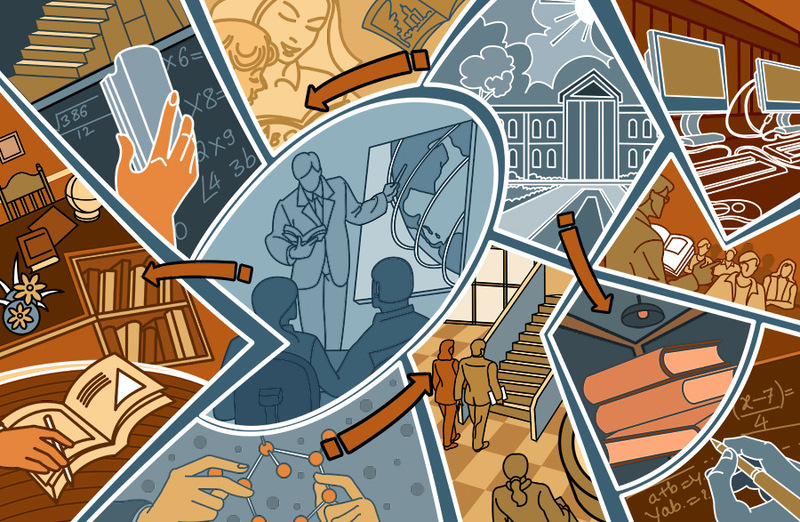 “I feel proud of what I am,” said the Master of Arts in Teaching recipient. Nashville, TN – Tennessee Wildlife Resources Agency (TWRA) has verified through genetic testing that the crappie caught from a Loudon county pond last month is indeed a black crappie and the new state record. 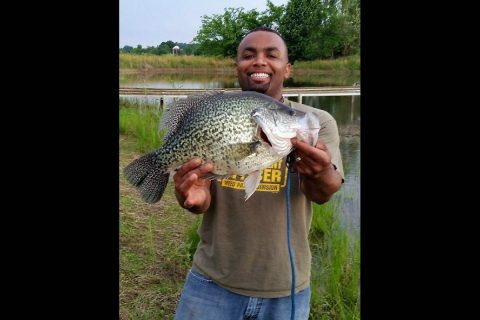 Lionel “Jam” Ferguson from the East Tennessee community of Philadelphia landed the 5 pounds, 7.68 ounces trophy fish on May 15th, 2018. After a fisheries biologist visually identified the species and weight was verified with certified scales, a small fin clip was sent for genetic testing to confirm that the fish was not a hybrid. Clarksville, TN – The Clarksville Downtown Market is in the running to receive national recognition from American Farmland Trust, a national nonprofit dedicated to saving farmland for the next generation. 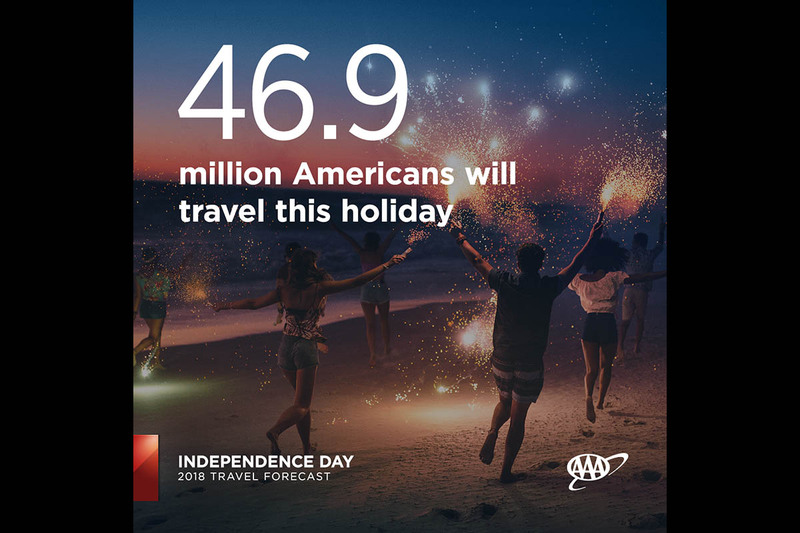 Shoppers are encouraged to visit the market from 8:00am to 1:00pm, Saturdays on Public Square and then endorse the market by visiting the information booth or by visiting markets.farmland.org. What you put on your fork matters. That’s the message behind American Farmland Trust’s seventh annual Farmers Market Celebration. The celebration calls on shoppers to help identify the best of America’s farmers markets. 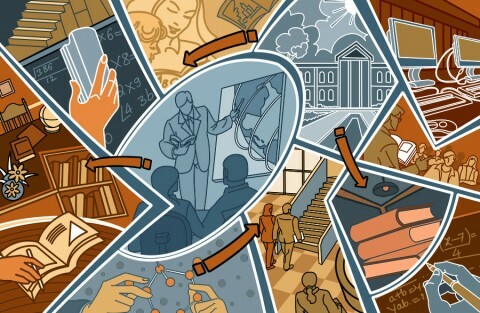 The summer-long event launched June 21st, 2018. 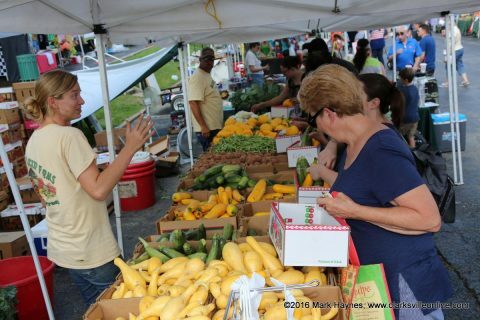 Show your support for Clarksville’s Downtown Farmers Market. Nashville, TN – The Tennessee Department of Agriculture says that now through August is prime fruit picking time in Tennessee. Blueberries are already available at many farms and farmers markets, beginning a summer-long parade of fruits. Expect varieties of raspberries, blackberries, and peaches in the coming weeks. Even apples, which are mostly associated with autumn, have early varieties that will be ready to harvest by mid-August. 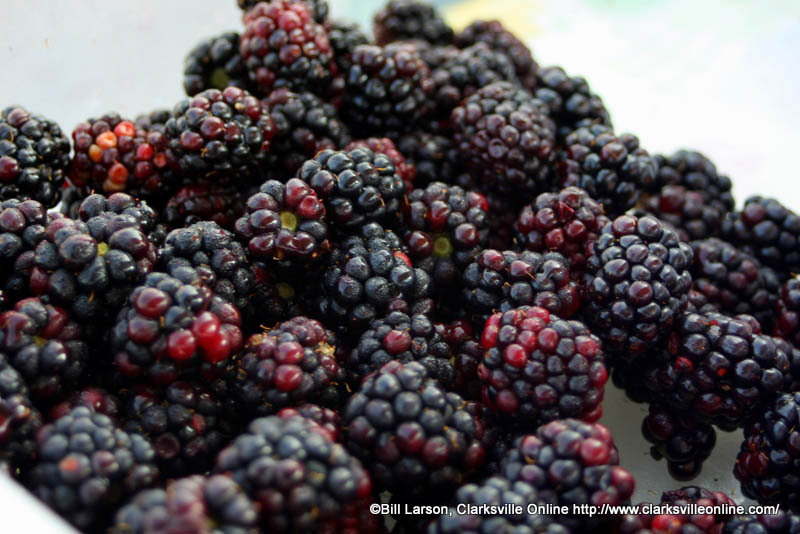 Blackberries grown in Tennessee are available at the Montgomery County Farmer’s Market or you can pick your own. Clarksville, TN – Mark Youngs, who spent last season as an assistant at North Central College and spent nearly a decade as a head coach in the NAIA ranks, is joining David Midlick‘s Austin Peay State University women’s basketball coaching staff. 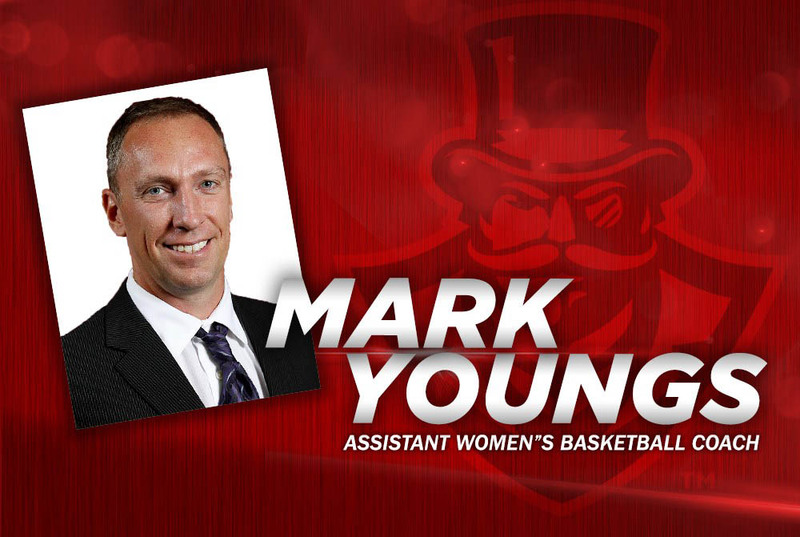 Youngs spent last season at North Central, serving as recruiting coordinator and assistant coach. 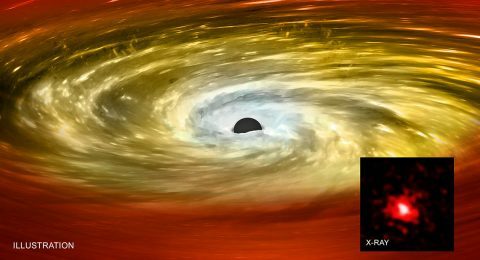 Huntsville, AL – About a decade ago, astronomers discovered a population of small, but massive galaxies called “red nuggets.” A new study using NASA’s Chandra X-ray Observatory indicates that black holes have squelched star formation in these galaxies and may have used some of the untapped stellar fuel to grow to unusually massive proportions. Red nuggets were first discovered by the Hubble Space Telescope at great distances from Earth, corresponding to times only about three or four billion years after the Big Bang. They are relics of the first massive galaxies that formed within only one billion years after the Big Bang.